Ok so first off… sorry about my ranting and raving yesterday. Sometimes…. That’s how my yesterday was and really my last couple weeks. I’m really wondering if that has shown through my blog posts lately because I was starting to get a few comments… the most in one post was 23 and I have to admit, I loved it. I’m sure we all love comments! Now I don’t get very many… but oh well… I’m sorry if I have offended anyone. Sometimes the stress of life really stresses you out!… unfortunately! So, I don’t know anything about Weight Watchers, but I came across a great recipe that had the WW points built in to it! Woohooo! So I can share it with you. 2. Preheat the oven to 400 degrees F. Spray a 1-qt shallow baking dish with nonstick cooking spray. 3. Beat the egg with the water in a shallow bowl. 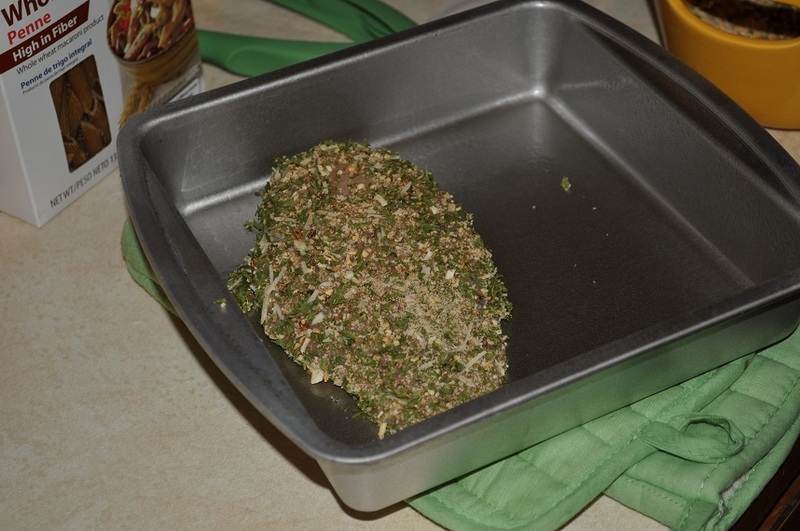 Combine the bread crumbs, parsley, cheese and pepper on a sheet of wax paper. 4. Dip the chicken breasts first in the egg mixture. 5. 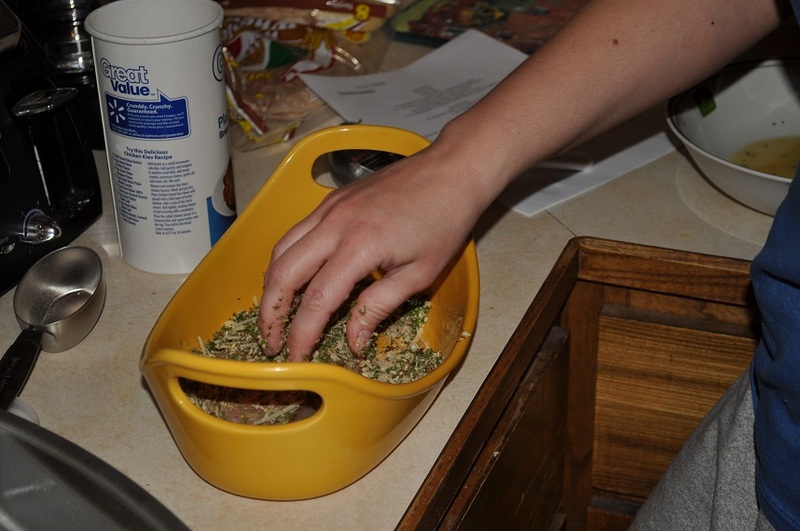 Then coat lightly on both sides with the bread crumb mixture, shaking off the excess. 6. Place them in the baking dish. 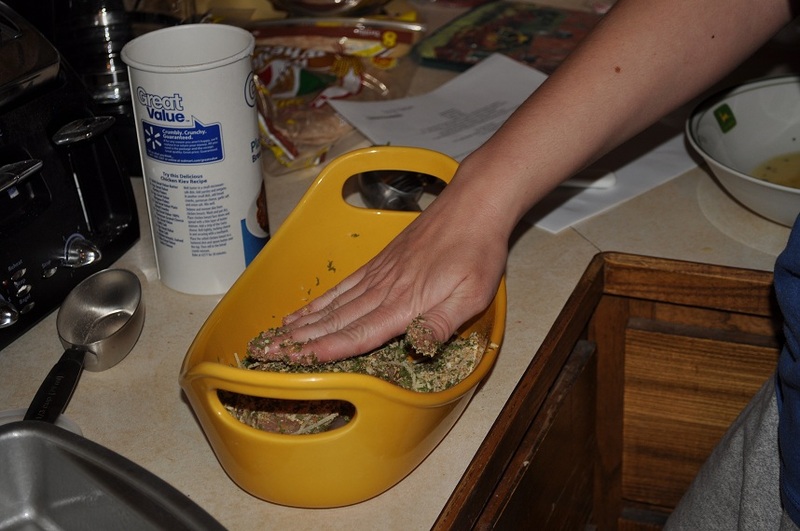 Discard any leftover egg or bread crumb mixture. 7. Bake until cooked through, golden and crisp-edged, about 25 minutes. Yields one breast per serving. 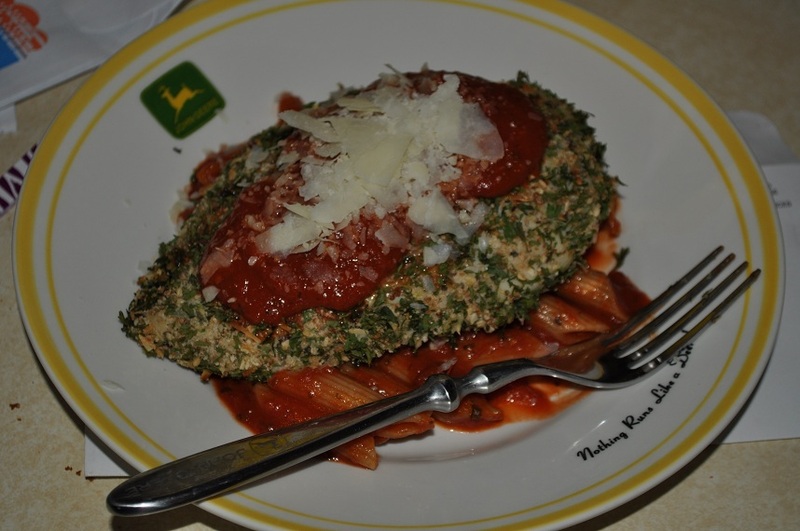 So the breakdown on the recipe was The chicken was 5WW points, then add your points for pasta & sauce. 3/4 cup pasta is 5 WW points and the sauce is 2 points. You are looking at close to 12 WW points. And oh my goodness is this YUMM-O!!! I think people are probably commenting less because of the weather changing towards springtime now…. I'm sorry life has been so frustrating lately. I know how it feels, we've been so down and stressed about 'stuff'. This whole winter, and last fall has just been so crazy! We still have uncertainties, and just keep praying something will change! Hang in there! Hope you'll keep feeling “spunkier and spunkier” each day. Now that meal looks absolutely scrumptious! Sometimes I get lots of comments, sometimes I don't get many at all, it's no reflection on you. I didn't comment on that particular post cuz I didn't feel I had anything suitable to add……..and sometimes I don't comment because I know what I want to say, but am not sure how it will come across in writing!